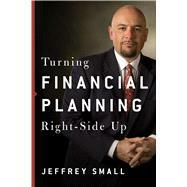 Financial planning today is formulaic, redundant and not very helpful to the consumer! This book reveals exactly how Wall Street, financial planners, and the news steer investors into poor and expensive decisions. It prescribes proven alternatives that place readers on a path to reach or exceed the specific yield necessary in their situation.